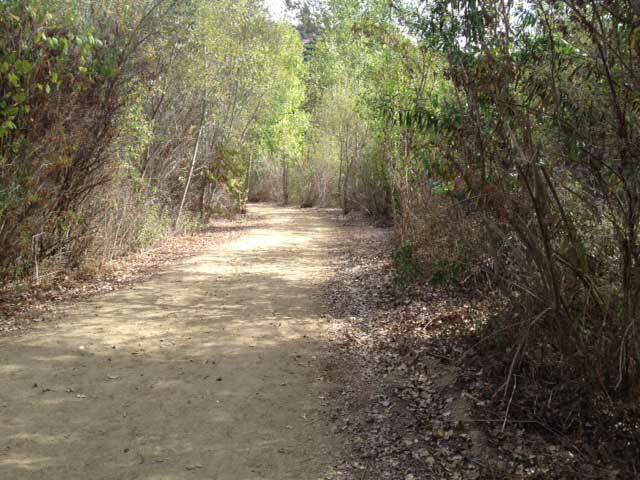 Length of Trail: The trails map describes 2 miles of trail but it can be expanded into over 20 miles. 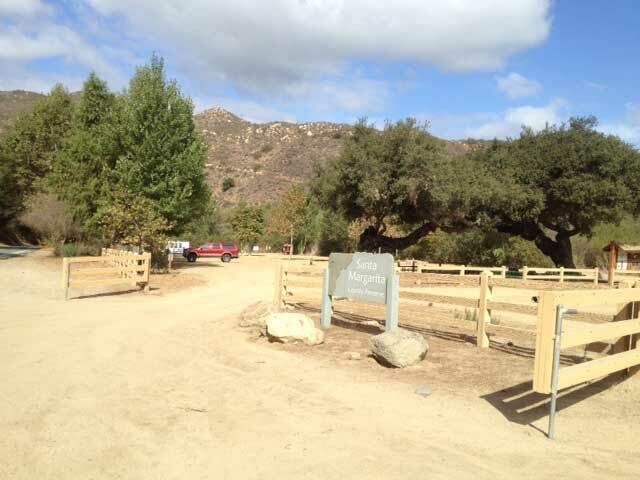 Staging Area: The staging area is located at 37385 De Luz Rd, Fallbrook CA. 92028. There is a large parking area with space for several trailers. There are corrals, water, picnic tables and a Portapotty. Directions: From downtown Fallbrook take E. Mission Rd west to Pico Ave. Go right (north) on Pico Ave. which quickly becomes De Luz Rd. Take De Luz Rd 2 for miles. At the corner of De Luz Rd and Sandia Creek Rd fork to the left and stay on De Luz Rd. The preserve staging area will immediately come up on the right hand side of the road. 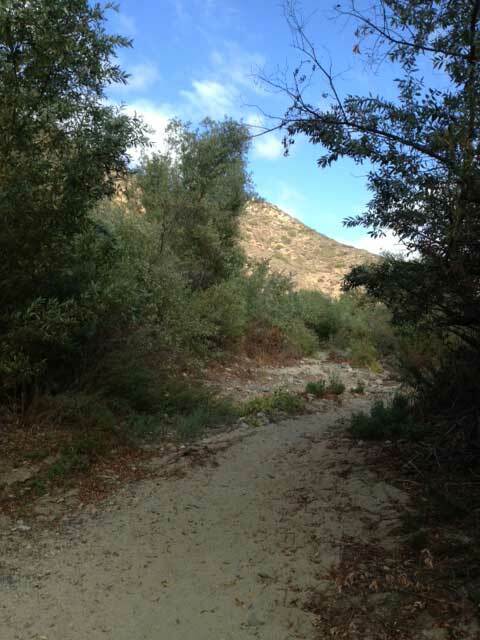 Trail Users: The trail is open to hikers, cyclists and horseback riders. 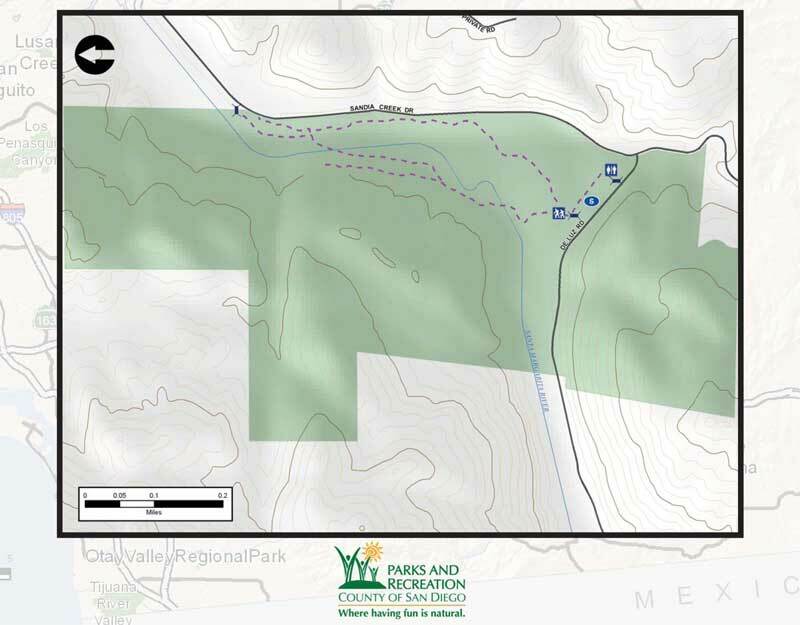 General Trail Info: The preserve is open 8 am to one half hour before sunset daily. 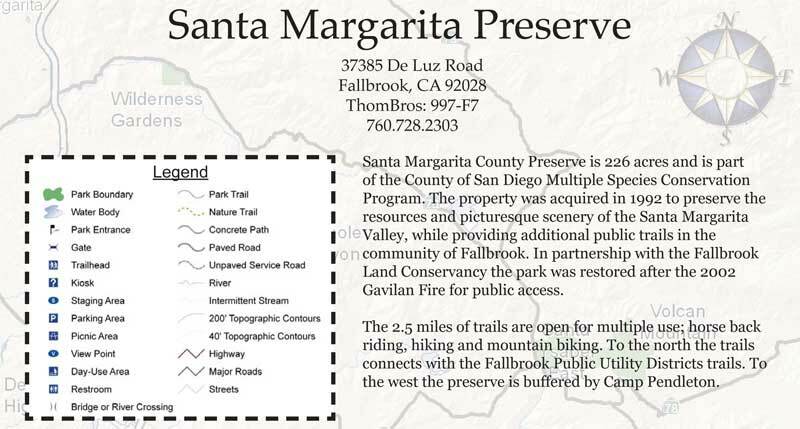 From San Diego County website: The 221 acre Santa Margarita Preserve consists of riparian and upland habitats. The lush river corridor provides wildlife a place to naturally forage and make their homes. Raptors are a common site over head or perched in trees. Deer and other large mammals rely on the river for their water. Now preserved in perpetuity, this stretch of the river valley defines the natural beauty of Fallbrook and San Diego County. The area has a rich cultural history. For centuries the abounding resources in the river valley sustained Native Americans, named Luisenos by the Spanish explorers. During the Mexican era, Rancho Santa Margarita y Las Flores was granted to brothers Pio and Andres Pico in1841. Today the original rancho boundaries encompass Camp Pendleton. Many geographical features in the area bare the name Santa Margarita, including the river and now this Preserve.